Don’t believe everything you read in the papers! Normally we welcome dental related newspaper articles because we believe that they generally raise awareness of the need and the value of good oral hygiene practice. Occasionally, however, an article appears that we, as a leading Manchester dentist practice, find to be totally inaccurate and misleading and in our opinion appears to have been written purely as sensationalist scaremongering … without regard to the accuracy of the facts. We came across such an article last week that, quite frankly, blamed electric toothbrushes for damaging teeth, creating gum disease problems and dislodging fillings. The article highlighted a lady who claimed that after changing to an electric toothbrush three years ago she has been left in agony because the toothbrush had worn away the enamel on her teeth and exposed the sensitive roots. She also said that her dentist blamed her electric toothbrush. Another lady featured in the article claimed that her electric toothbrush has vibrated out her fillings. So what is our response to this article? As a Manchester dentist who has been established for over sixty-years our experience is that there is nothing whatsoever wrong in using an electric toothbrush. Just as long as you use it correctly. In fact we would go as far as to say that if used well it will definitely benefit the health of your teeth and there is no reason why it should not be part of your preventative dentistry routine. This is our advice. Choose a reputable brand of electric toothbrush and always use good, safe toothpaste that contains fluoride – such as Colgate Total. Most importantly do not use your electric toothbrush like a manual one by aggressively brushing. Instead allow the oscillation of the electric toothbrush head to do its job. Hold the brush at about 45 degrees to your teeth and do not press on. Gentle pressure is all that is required. Spend at least two-minutes every time you clean your teeth and be sure to treat the whole of your mouth. 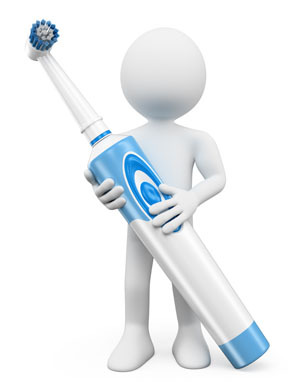 In our opinion, however, aggressive brushing is not the main cause of tooth decay and gum disease. It is caused by multiple factors including: tooth grinding, acidic drinks and food and also your ‘bite’ if it is not balanced can also have an effect. What then are our recommendations? Our main dental hygiene recommendation is that you should brush your teeth twice a day – once as soon as you get up in a morning and again just before you go to bed at night. Spend at least two-minutes each time you clean your teeth making sure you cover the whole of your mouth. Use a gentle, circular motion. A good electric toothbrush will do this for you. Visit your dental hygienist for regular check-ups. Control your sugar intake. Sugar helps to create harmful bacteria and acid that can damage teeth and gums. Occasional sugary drinks or food are fine – it is constant snacking and drinking that causes problems. If you would like to discuss any of the above recommendations with us, or if you are worried about using an electric toothbrush, then please do not hesitate to contact us. 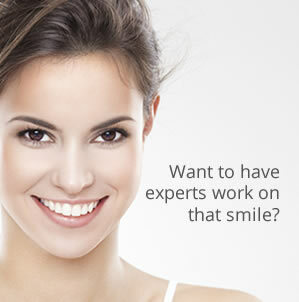 You can call us on 0161 951 7295 or you can book an appointment online by going to our Appointments page. We will be happy to explain more about how to use an electric toothbrush correctly and we can also show you our recommended models that range in price from just £35 up to £107.